They say that we "eat with our eyes," and if that is true, then it's no shock that people often pass on celery root. It's an unattractive, bumpy, rough root vegetable with a pale brown skin. But inside, the creamy white center is packed with refreshing, crisp flavor. Think celery meets white turnip. We get a lot of questions from our customers about what to do with their celery root, and interestingly enough, there is a lot you can do. It can be roasted, stewed, blanched, or mashed. 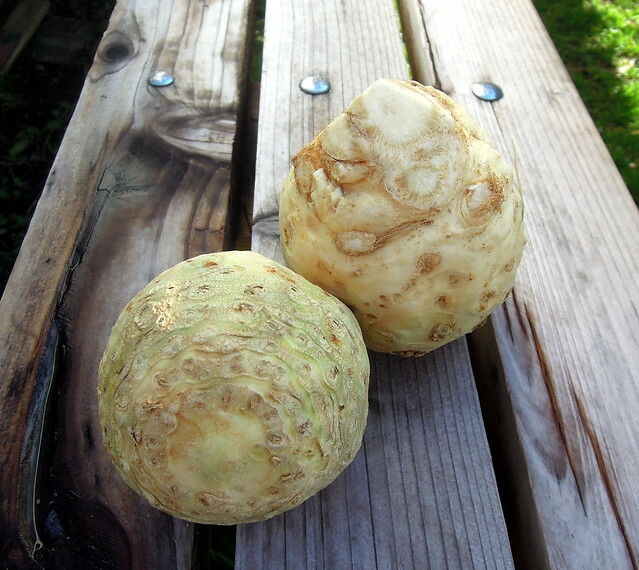 Sliced celery root is often used as an ingredient in soups, casseroles, and other savory dishes. Below, we wanted to share a few delicious recipes to inspire the rustic gourmet in you. This is an easy one pot soup recipe. The good news is that this creamy dish doesn’t actually contain cream - so yeah, eat without guilt. For a dinner party, fancy it up by topping it with toasted bread crumbs or a drizzle of crème fraiche. Click here for the recipe. 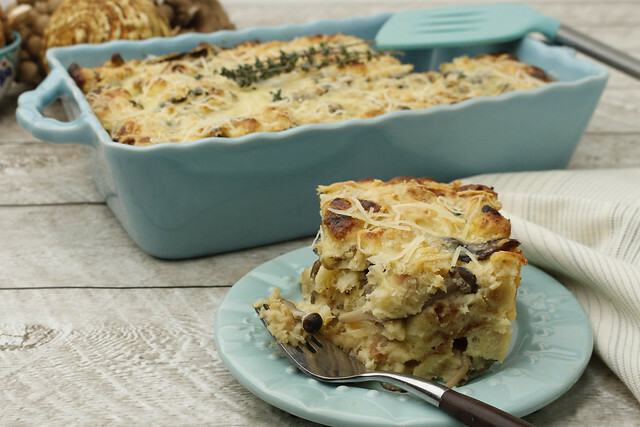 The celery root is not a pretty vegetable, but paired with mushrooms, cheese, and a rustic bread, it can quickly becomes a family favorite. Click here for the recipe. 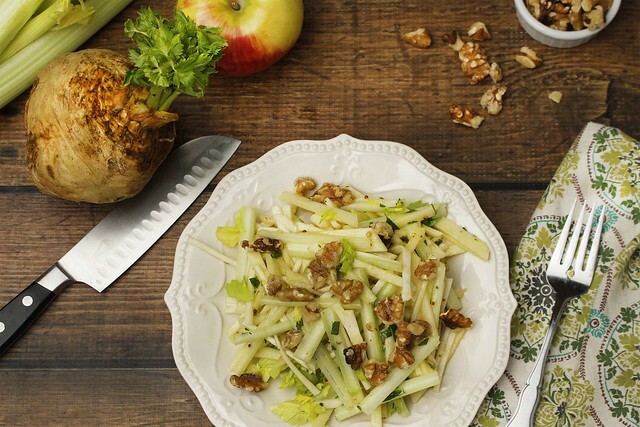 This light, crispy and crunchy salad is made up of fresh celery root, apple, walnuts and a delicious dressing of Dijon mustard, apple cider vinegar and olive oil. Eat as a mid-afternoon snack or as a side salad. Click here for the recipe. 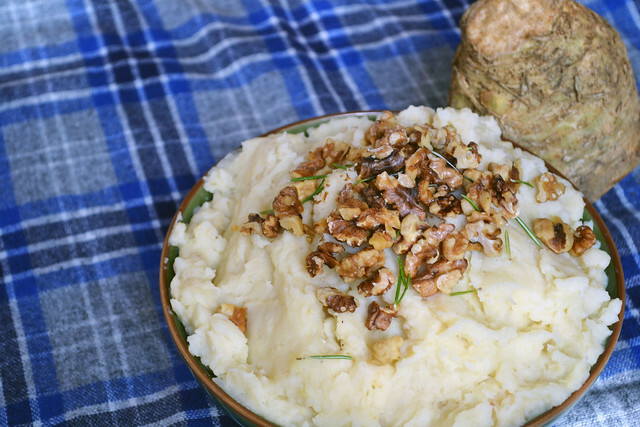 Adding celery root to your mashed potatoes gives the dish a more earthy and complex flavor. It's also a great way to sneak in some more veggies! Click here for the recipe. 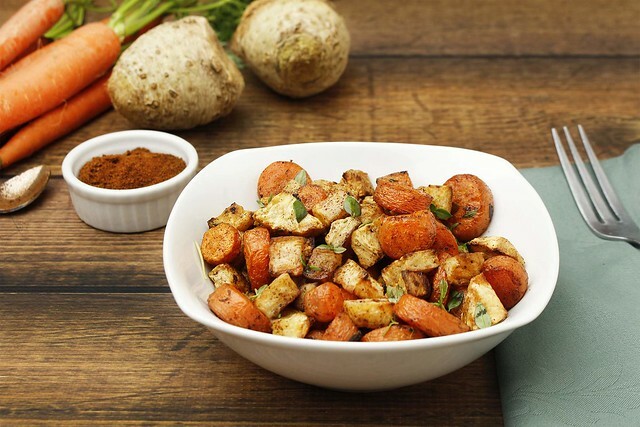 Sweet carrots and buttery celery root are a perfect pair in this wonderful side dish. Or, if you are looking to make this dish center stage, serve over quinoa for a heartier meal. Click here for the recipe. 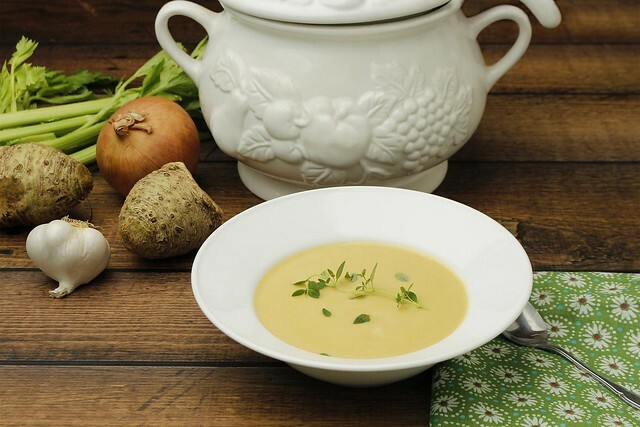 For even more tasty recipes featuring celery root click here. How To Add Celery Root To Your Delivery: CSA members - head on over to our online Farm Stand Market to customize your upcoming delivery. The Market is open from noon on Thursday until 6 pm, 2 days before your scheduled delivery day. After you confirm your produce items, click the orange button "Confirm and Continue To Other Farm Products" to add the products to your delivery.